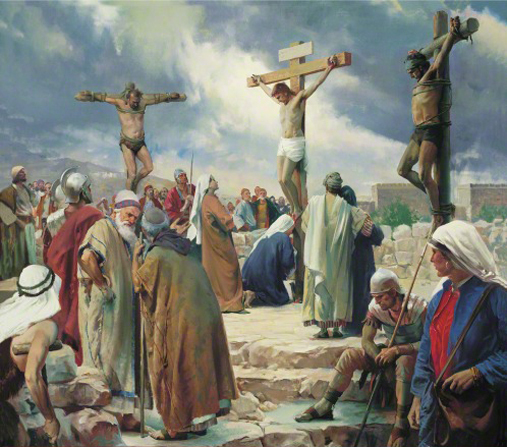 Dear brothers and sisters in Christ, as we rapidly approach the beginning of the Holy Week of Our Lord’s Passion, commemorating the suffering, death and eventually resurrection of Our Lord Jesus Christ, the nature of the Scripture readings chosen for the occasion increasingly reflect the deeper understanding and ties to the mysteries of the Lord’s Passion, and how He fulfilled the mission that He has been sent into this world for, through the laying down of His life on the cross. In the first reading today, we heard the story from the Book of the prophet Jeremiah, where the persecution and plotting against the prophet by his enemies and all who opposed him were laid bare before us. They all opposed him and the forces that were combined against him were immense. He was treated as a doomsayer, a traitor and someone who ought to be killed for having spoken the truth of God before them, that is for exposing and pointing out their wickedness. The prophet Jeremiah however trusted in God and placed himself completely in His mercy and loving care, knowing that despite all the opposition He had to endure and the challenges and difficulties He had to face, the Lord was always faithful, and would always be, and to trust in Him would lead to a true joy in the end, joy that surpasses all sufferings, pains and challenges that one had to encounter and endure. In the same way therefore, in the Gospel passage today, we heard how the Lord Jesus was also treated in a similar manner by those who opposed Him, those who contended that He was spreading lies and blasphemies, and refused to believe in all that He had told them to do. The Lord Jesus experienced the same rejection, ridicule and persecution as Jeremiah had once experienced, but He also trusted completely in the plan that His heavenly Father had placed on Him. It was indeed tough, difficult and painful, and that was why, Jesus before He faced His Passion and suffering on the cross, agonised so much in His humanity over all that He had to endure, the pain and the whole weight and burden of the cross, that is not just the physical weight of the wooden cross, but even more so, the entirety of the unimaginably heavy burden of mankind’s sins. And yet, He obeyed the Father’s will perfectly, and by that obedience, brought unto us the promised eternal salvation and life. Brothers and sisters in Christ, during this time and season of Lent, we have been urged to remember our own sinfulness, our own unworthiness before God because of our sins, and how we have been called to renew our faith and our lives through dedication and commitment of our lives from now on, so that while once we may have done what was wicked and evil in the sight of God, but now we become a new people with a new heart, mind and purpose. Yes, indeed, the path forward if we choose to walk down this path will be difficult and arduous, as the prophet Jeremiah’s life and our Lord Jesus Himself have evidently shown us. But this is where we need to learn to overcome our attachments to the world and all the temptations that often surround us and overwhelm us with desire, ego, pride and all sorts of things that led us into disobedience and sin against God. Therefore, brothers and sisters in Christ, as we approach and enter into this holiest week and period of time in our liturgical year, let us all prepare ourselves in body, heart, mind and soul, in our entire and whole being, to be able to celebrate the sacred mysteries of the Passion, suffering, death and resurrection of Our Lord meaningfully and faithfully, that by deepening our understanding of our faith and by committing ourselves further to God, we may be ever more worthy to receive the eternal glory that He has promised to all of us mankind. May the Lord be our guide, and may He help us in our journey of faith, that each and every one of us may draw ever closer to Him and be worthy to receive the everlasting inheritance He has promised to all those who are faithful in Him. 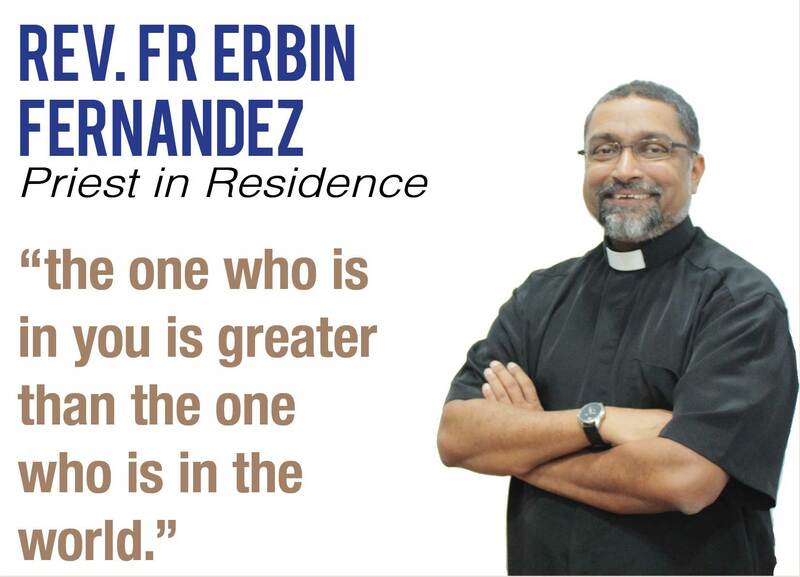 May He bless us always in our daily lives and in all of our actions and works in life. Amen. This entry was posted in Uncategorized and tagged 12 April 2019, 5th Sunday of Lent, 5th Week of Lent, Bishop of Rome, Catholic blog, Catholic homilies, Catholic wordpress, Christian sermons, Church blogs, faith blog, Friday, green, Holy Mass, Holy sermon, homily, Homily of the Mass, Leader of the Church, Lenten Homily, Lenten season, Lenten sermon, Liturgical celebrations, Liturgical Colour, Passiontide, Pope Benedict XVI, Pope Francis, Pope St. John Paul II, preaching the faith, preaching the sermon, priestly homily, priestly sermon, Purple, Red, reflecting on the Scriptures, Reflection of the Bible, revelation of truth, Roman Catholic Church, sacred homily, Scripture Reflections, Sundays after Epiphany, Sundays of Lent, teachings of the Church, Tempus Quadragesima, understanding the faith, Universal Church, violet, Weekday Homily, Weekday Mass, Weekdays of Lent, Weeks of Lent, white. Bookmark the permalink.